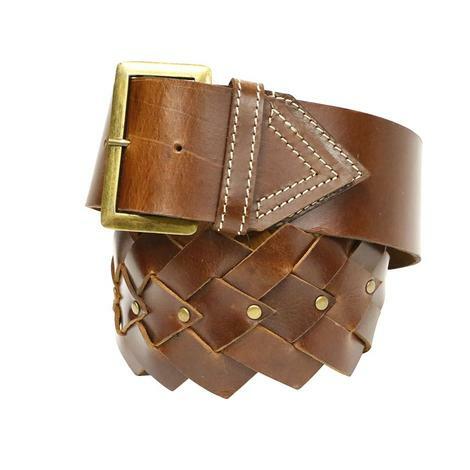 Accentuate your style with this Tasha Polizzi woven leather belt. Adorned with center placed brass studs along its length, as well as an angled tail finish, this catchy belt will make any fashion statement pop. Brass buckle closure.